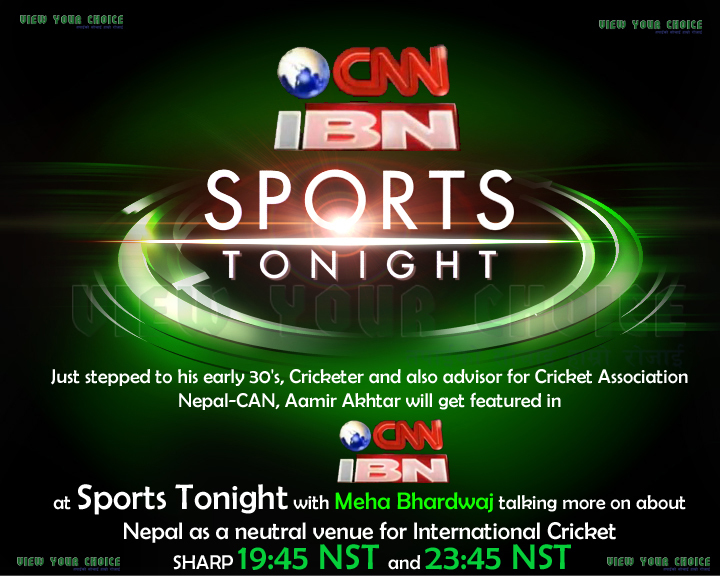 Just Birthday bash stepping ahead to his early 30's, Cricketer and also advisor for Cricket Association Nepal-CAN, Aamir Akhtar will get featured in CNN-IBN at Sports Tonight with Meha Bhardwaj talking more on about Nepal as a neutral venue for International Cricket SHARP 19:45 NST and 23:45 NST . 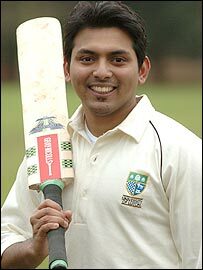 Born in June 26, 1981A.D., Aamir Akhtar is a bowler and prefers Left-hand batting style while Left-arm medium-fast on his bowling style. Share your feedback to us at View Your Choice- तपाईको सोचाई हाम्रो रोजाई - as well. Finally the wait is over "Cricket fever grips mountain nation Nepal" will be broadcast on CNN-IBN. The documentary video was shot for Meha Bhardwaj's Sports Tonight. The video was recorded when Nepal Cricket's goodwill ambassador MS Dhoni was here in Nepal. According to sources, it will be broadcast on 3rd July finally at 07:45 am and if not at that time it will be at 10:45am. Do share your feedback at View Your Choice- तपाईको सोचाई हाम्रो रोजाई - as well. Some people featured in the video includes prominent people from cricket Aamir Akhtar, Prithu Baskota and others.